It all started with the news of my friend Dr. P S Bedi getting selected for the Al-Jabal Al-Garabi University, Libya in end part of 2009. The news was good and exciting because one of my close friends will be going abroad as an international faculty. However, I was skeptic about the living conditions in Libya. However, after 2-3 months Dr. Bedi seemed to be very happy with his new assignment. This provoked me to think about applying for job in Gulf countries. In the months of May-June there was advertisement in Times of India by Global Placement Agency, Hyderabad regarding faculty positions for Ethiopian Universities. I immediately applied for the same. Subsequently, I was invited to attend the interview in Delhi. The interview went well and I was selected for the Haramaya University as Assistant Professor in the School of Animal & Range Sciences. Though I was happy that I was selected, however, I was apprehensive about the living conditions in Ethiopia. The recent disturbance in Somalia was a major cause of worry. Moreover, I have to leave my family in Mumbai and my health was another cause of worry. Anyway, I decided to accept the offer. My father, brother and my family, all encouraged me for this assignment. So the next important thing was to get myself vaccinated for ‘Yellow Fever’ which was mandatory for persons going to African countries. It took me 2-3 days to get myself vaccinated in Mumbai because of the huge rush. Then I resigned from Ipca Traditional Remedies and started preparing for the journey abroad. I got my air ticket confirmed in Ethiopian Airlines on 29th October. 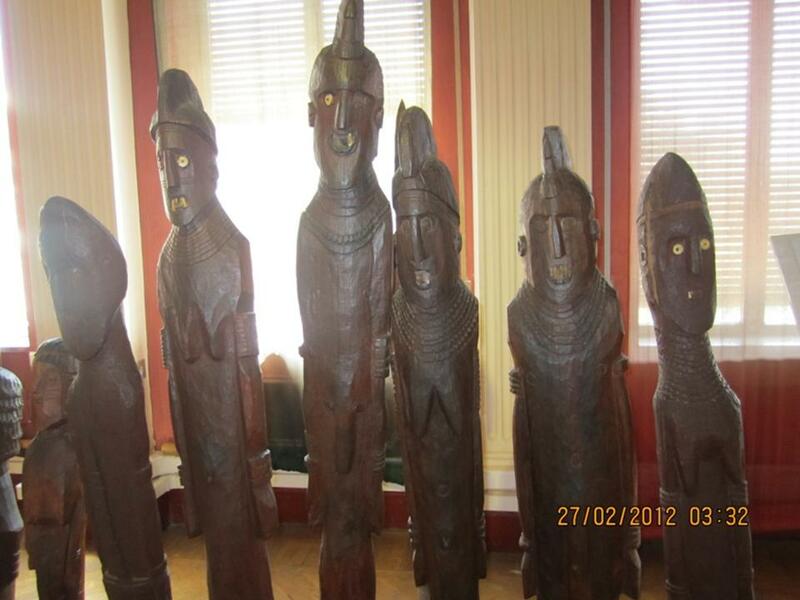 I was advised by the Global Placement agency to carry some items that are not found in Ethiopia viz. pressure cooker, spices & masalas, pickles and certain other food items. As I was not having enough information about Harmaya University, I took all my notes and books. This resulted in my luggage weight crossing the permissible limit of 47 kg. At the airport I met with 15 other people like me going to Ethiopia in various universities. However, I could find no one who was going to Haramaya University. I had 23 kg extra luggage and after negotiation with the airline personals I was only charged for 10 kg. My flight was on time at 4.30 AM and I reached Addis Ababa at 7.30 AM local time after about four and half hours journey. At the Addis airport I was surprise that no one came to receive me as I was told by the Global. My connecting flight to Dire Dawa was in the evening 4.30 PM. I had to wait the whole day at the airport. I called the Global Placement Agency and made sure that someone is coming to receive me at the Dire Dawa airport. The flight to Dire Dawa was on time and I landed there at around 5.30 PM. 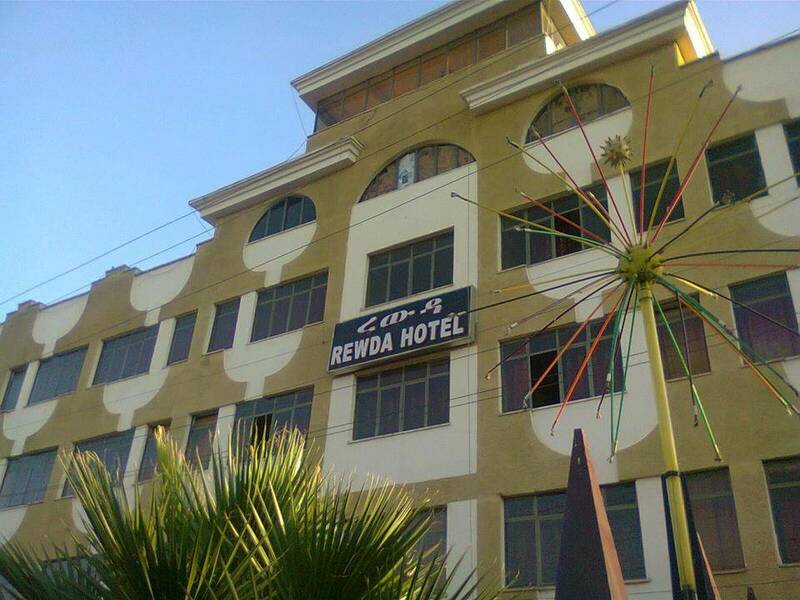 Outside the airport I found a person called Addis who came to receive me, he than took me to a hotel called Rewda in Harar after about one hour drive. The hotel was quite decent and good. However, as I have landed on Friday evening and the Saturday being off. So I was virtually grounded at the hotel the next two days. However, on Saturday morning Prof. Kushiram Yadav from the department of Animal Sciences came to visit me in Rewda. Then he took me to his apartment nearby and made me aware about the small beautiful city of Harar and the Haramaya University. He acted as my local guardian and made my transit period smooth. Because of him I did not find any difficulty in finding a decent apartment, gas connection and many other petty things. Contrary to my thinking, I found the place quite green and clean. The roads were very good; pollution free and the people were very helpful and had a tremendous respect for Indian people. 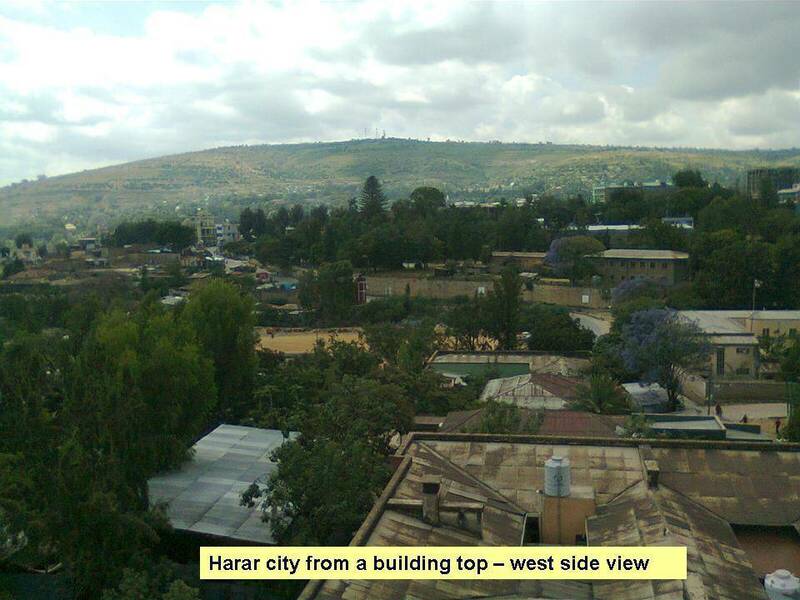 As Harar was situated at 6000 ft above the sea level the place was quite cold. The Ethiopians had their own calendar with 13 months and time system. The local time was six hours behind the international time i.e. if it is 12 noon the local time would be 6 AM. 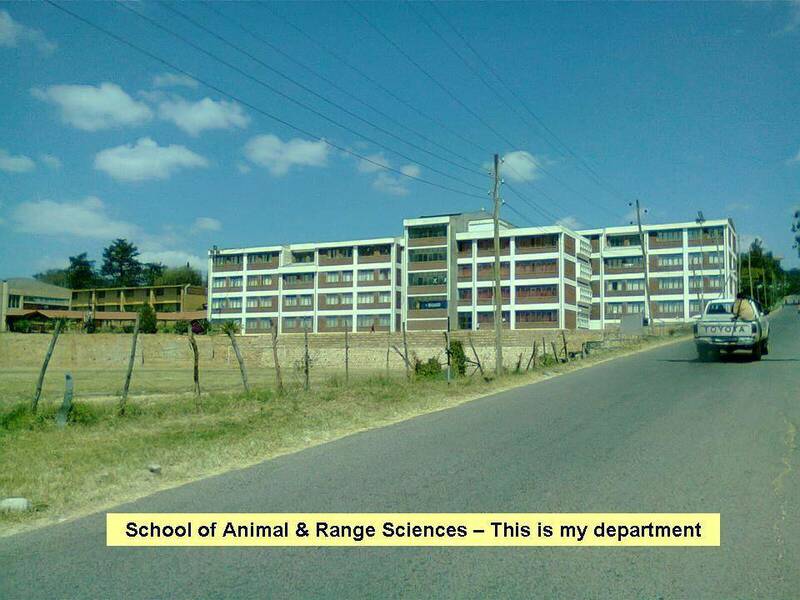 Anyway, on 1st November, 2010 I finally joined the Haramaya University. I was really surprised to see the University, the campus was huge and there were many colleges running in the same campus. There was a huge library, shopping complex more importantly broadband Wi-Fi internet connection. The place reminded me of the Indian Veterinary Research Institute campus. The university campus was 17 km from the place I stayed in Harar; however, I had university bus service at the door steps of my apartment. 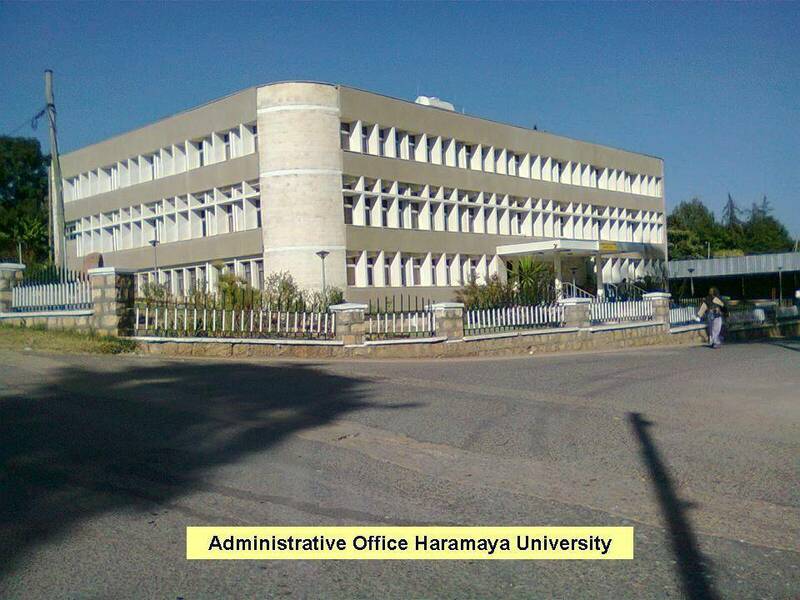 There were about 60 expatriate Indian staffs working in Harmaya University and some were single ladies staying alone. Initially, I was very afraid to come to Africa and Ethiopia because of the Somalia factor. I was in an impression that this place may be also disturbed because of its proximity to Somalia. However, after I met Ms. Usha Rekha from the dept. of Management all my fear about this place vanished. She was staying here alone for the last 4 years. She said that this place is very safe for ladies. 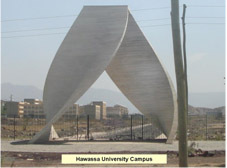 For More Picture of Haramaya University Campus click here. 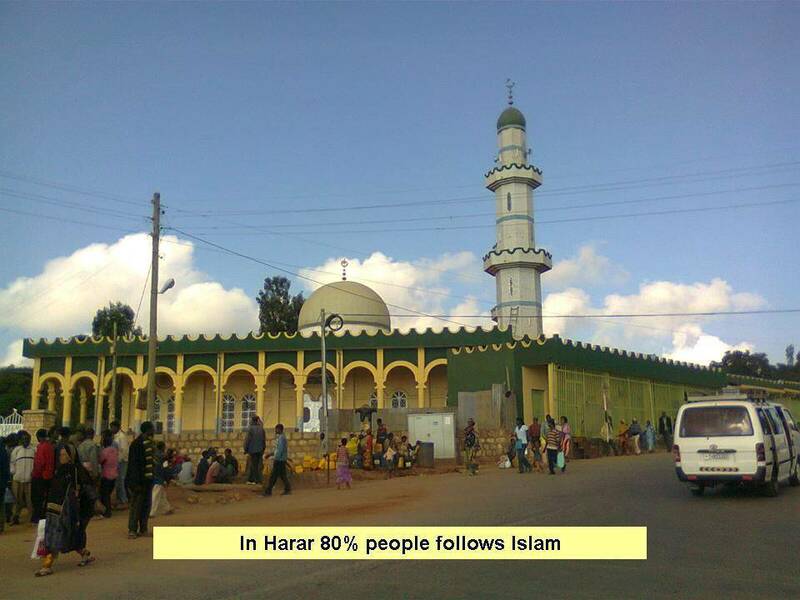 For More Picture of Harar click here. 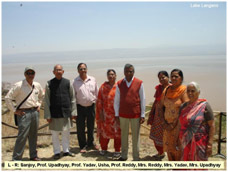 A ten member team from Haramaya University toured southern part of Ethiopia from 20-23rd February 2011. 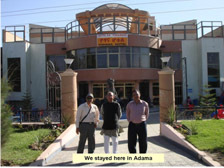 The place visited were Adama, Sodere hot spring, Lake Langano, Wondo Genet hot spring and Hawassa. 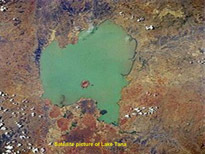 Langano lake is in the Oromia Region of Ethiopia, exactly 200 kilometers by road south of the capital, Addis Ababa. 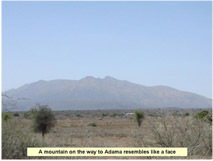 It is located in the Great Rift Valley at an elevation of 1,585 meters to the east of Lake Abijatta. 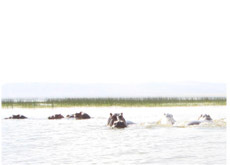 According to figures published by the Central Statistical Agency, Lake Langano is 18 kilometers long and 16 km wide, with a surface area of 230 square kilometers and a maximum depth of 46 meters. 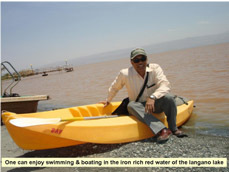 The lake has a reddish brown colour and catchment 1600 square kilometers in size, and is drained by the Hora Kallo river which empties into the adjacent Lake Abijatta. 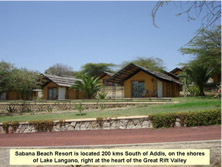 Wondo Genet is a resort town in Ethiopia. Located southeast of Shashemene in the Sidama Zone of the Southern Nations, Nationalities and Peoples' Region, with an elevation of 1723 meters. 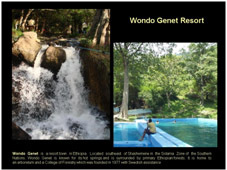 Wondo Genet is known for its hot springs and is surrounded by primary Ethiopian forests. 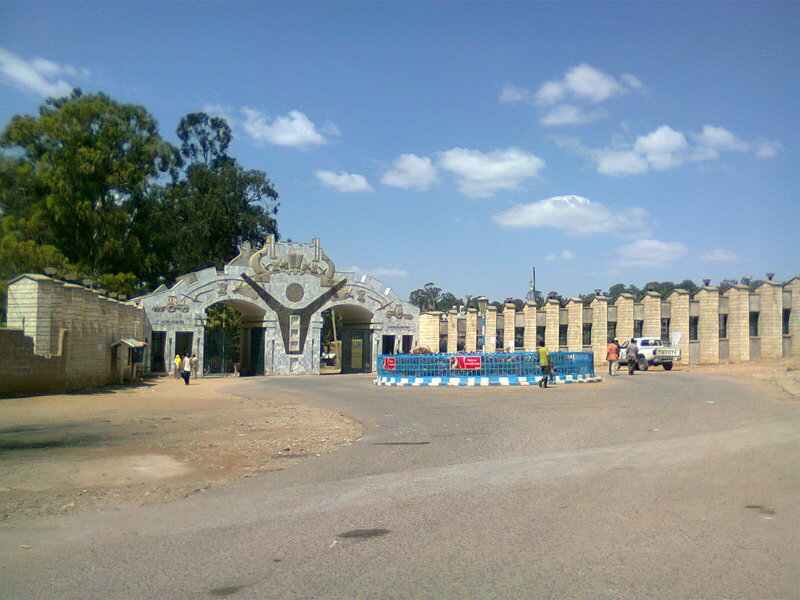 It is home to an arboretum and a College of Forestry which was founded in 1977 with Swedish assistance. Also located in this resort town is the Essential Oils Research Sub Center, where spices, aromatic and medicinal plants are conserved and researched. 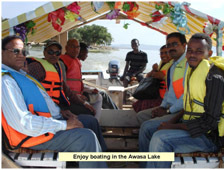 Hawassa (also spelled Awassa) is a city in south Ethiopia, on the shores of Lake Awasa in the Great Rift Valley. Located in the Sidama Zone, 270 km south of Addis Ababa. Awassa was capital of the former Sidamo Province from about 1978 until the province was abolished with the adoption of the 1995 Constitution. 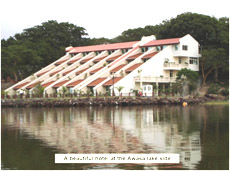 This city is home to Hawassa University (which includes an Agricultural College, a Main Campus and a Health Sciences College), Awassa Adventist College, and a major market & St. Gabriel Church. 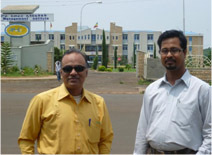 Dr. Manas Ranjan, his wife Riku and I visited the city Bahir Dar in first week of June 2011. 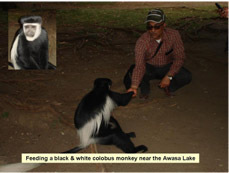 The purpose of the visit was to visit Dr. Susanta Roul friend of Dr. Manas and see the Lake Tana & Issat Falls. 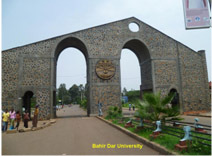 Bahir Dar is one of the leading tourist destinations in Ethiopia. 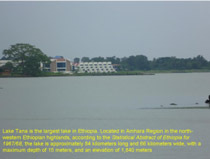 It is situated on the southern shore of Lake Tana, the source of the Blue Nile (or Abay), in what was previously the Gojjam province. 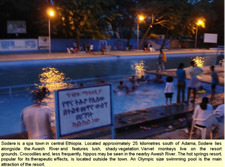 The city is located approximately 578 km north-northwest of Addis Ababa, and an elevation of 1840 meters above sea level. Our same team Dr. Manas, Riku & me was again on tour, but this time it was Makela-Lalibela-Gondar. Makela is a city in northern Ethiopia and the capital of the Tigray Region. 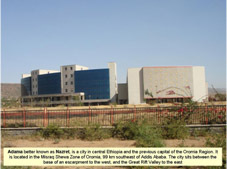 It is located some 780 kilometers north of Addis Ababa, Makela is one of Ethiopia's principal economic and educational centres. There are two primary local landmarks in this city. The Tigrayan People's Liberation Front (TPLF) monument commemorating the struggle against and overthrow of the Derg (Communist Regimen), is visible from most of the city. The other is the Palace of Yohannes IV at the northern edge of Makela. Built in 1884, the complex still stands and now serves as a museum, where the Emperor’s throne, royal bed, ceremonial dress, rifles and many other valuable historical collections are kept. Lalibela is another town in northern Ethiopia that is famous for its monolithic rock-cut churches. Lalibela is one of Ethiopia's holiest cities, second only to Aksum, and is a centre of pilgrimage for much of the country. 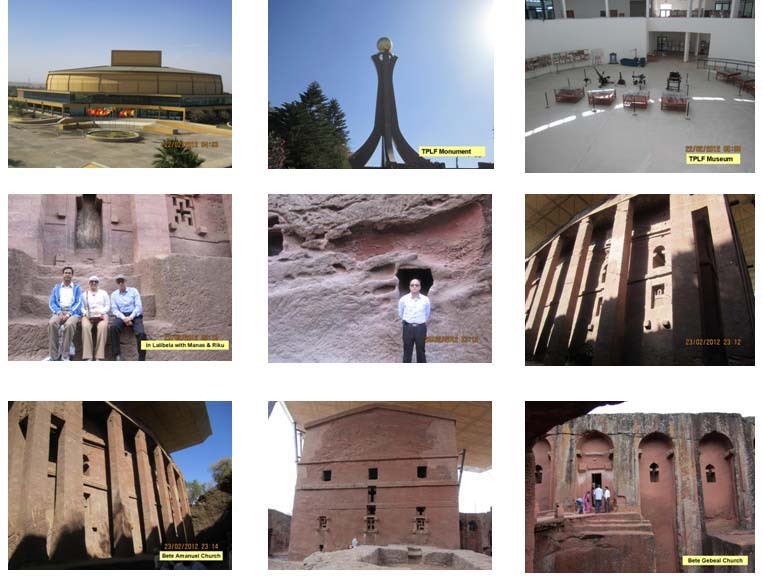 Saint Gebre Mesqel Lalibela (a king of the Zagwe Dynasty, who ruled Ethiopia in the late 12th century and early 13th century) constructed 11 rock hewn churches which took almost 23 years to complete. The main reason why the churches were constructed was capture of Jerusalem in 1187 by the Muslim soldier Saladin. Moreover, the pilgrims were travelling a long distance to go to Jerusalem; hence, they were suffering from many problems because of this extended journey. 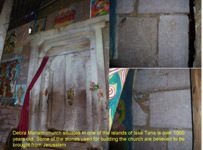 Therefore, King Lalibela built a second Jerusalem in Ethiopia. Gondar was founded by Emperor Fasilides around the year 1635, and grew as an agricultural and market town. Fasilides also built several churches. The five emperors who followed him also built their palaces in the town. The town served as Ethiopia's capital until Tewodros II moved the Imperial capital to Magadala upon being crowned Emperor in 1855; the city was plundered and burnt in 1864, then devastated again in December 1866. Abdallahi ibn Muhammad plundered Gondar when he invaded Ethiopia in June 1887. Gondar was ravaged again in 23 January in the next year, when the Sudanese invaders set fire to almost every city's churches. After the conquest of Ethiopia by the Kingdom of Italy in 1936, Gondar was further developed under Italian occupation. During the Second World War, Italian forces made their last stand in Gondar in November 1941, after Addis Ababa fell to British forces six months before. The area of Gondar was one of the main centres of activity of Italian guerrilla against the British forces until summer 1943. The modern city of Gondar is popular as a tourist attraction for its many picturesque ruins in the Royal Enclosure, from which the Emperors once reigned. 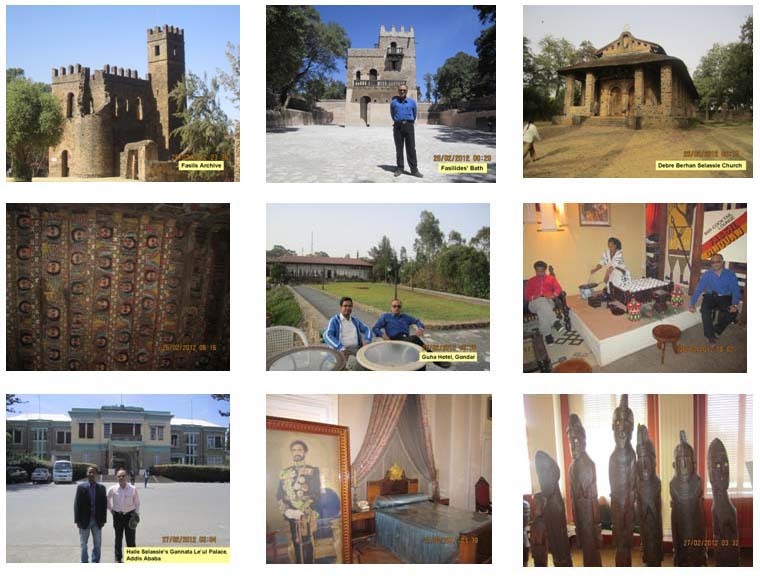 The most famous buildings in the city lie in the Royal Enclosure, which include Fasilides castle, Iyasu's Palace, Dawit's Hall, Abanqueting hall, stables, Mentewab's Castle, a chancellery, library and three churches. Today I completed my two years stay in Ethiopia. In these two years I have been contacted by many persons those who are likely to come to Ethiopia, especially Haramaya University. 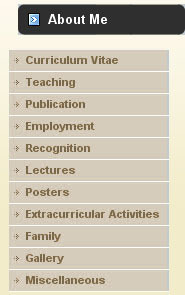 All have appreciated my site as it gave them first hand information about the university and Ethiopia. I like to thanks all those who have visited my site and found it interesting and useful. One important suggestion to my friends who are coming to Ethiopia…… please bring a Credit Card with you. Like last year the expatriate staffs of Haramaya University celebrated the coming New Year with a grand party in the Moko Ninoch Kibeb Hotel, Harar. 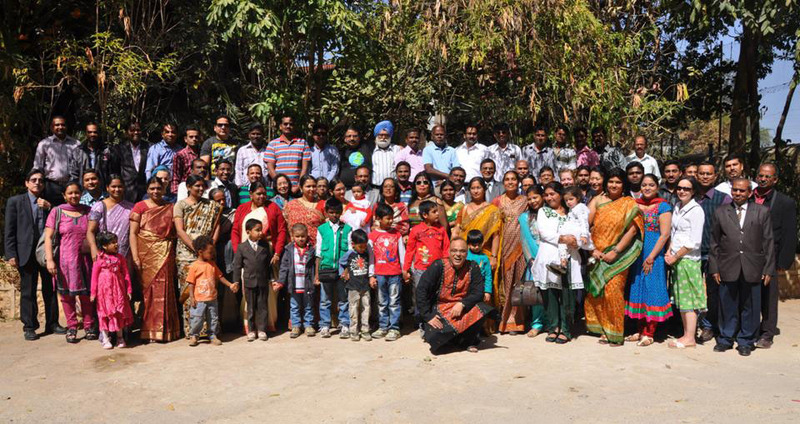 Over 70 staffs and their family members participated. 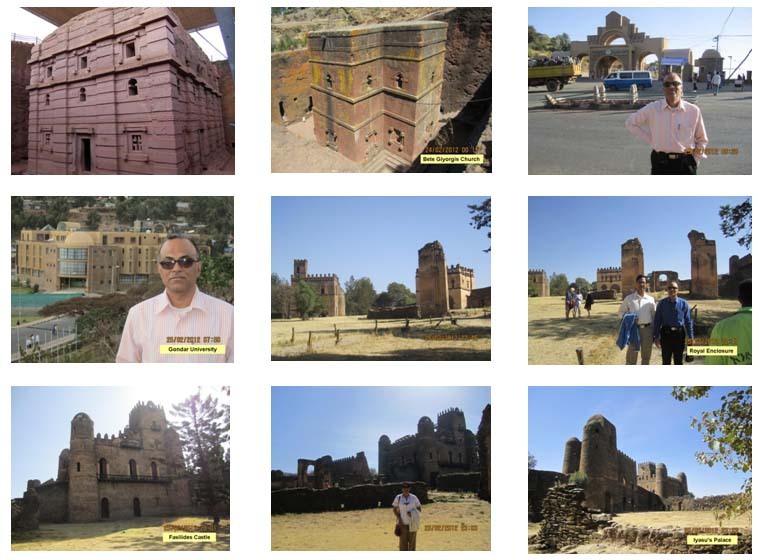 On of my article entitled: Wonders of the World, Ethiopia and India, was published in the HU Newsletter, Vol 4 (14), June 2013. We the Indian expats cannot just live without cricket. Regularly, on Sundays in the medical campus play ground we have quite enjoyable 20-20 cricket matches. A picture of matched is posted below. 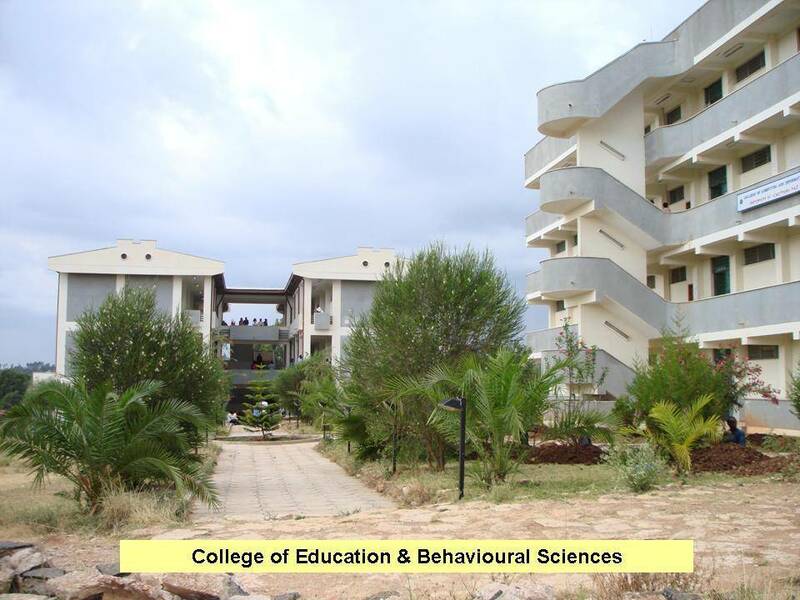 Every year many new Indian expats who are likely to join Ethiopian Universities contact me for advice. One Dr. Anurag Dhyani from Uttarakhand sent me a mail asking for the things that he should bring from India. I like to share some content of the mail with others as it would be helpful for all Indian expats coming to Ethiopia for the first time. Today I have completed 3 years of stay in Ethiopia. So far it had been quite enjoyable stay for me here, even though my family is not with me. To commemorate this occasion I have written an article entitled: Ethiopia: A Country of Mystic Beauty. In this article I wrote about my experiences I had so far in Harar and more importantly about the general misconceptions that we have about this country. I hope the readers find the article informative. 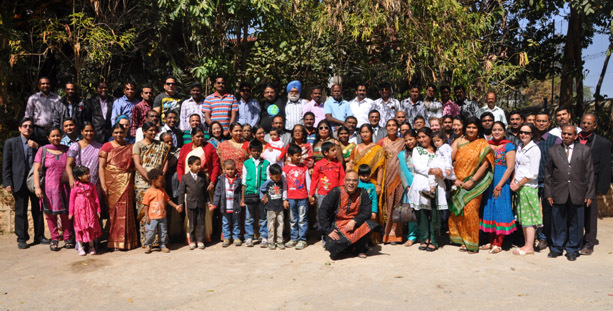 This year around 30 expats came together to celebrate Diwali at Harar Ras Hotel. As Diwali was on Sunday things were easily manageable. We all had a good time together. Some fire crackers were also managed from the local market. Few pictures of the party are posted. As everything good thing comes to an end, same happened with my contract in Haramaya. My second contract term ended this July. I did not get extension as one of my student was about to complete his PhD and he will join the department in my place. I was optimistic to get back to Ethiopia again, however, this year there seems no vacancy in Animal Genetics in any university. So going to Ethiopia will not possible for me as of now. 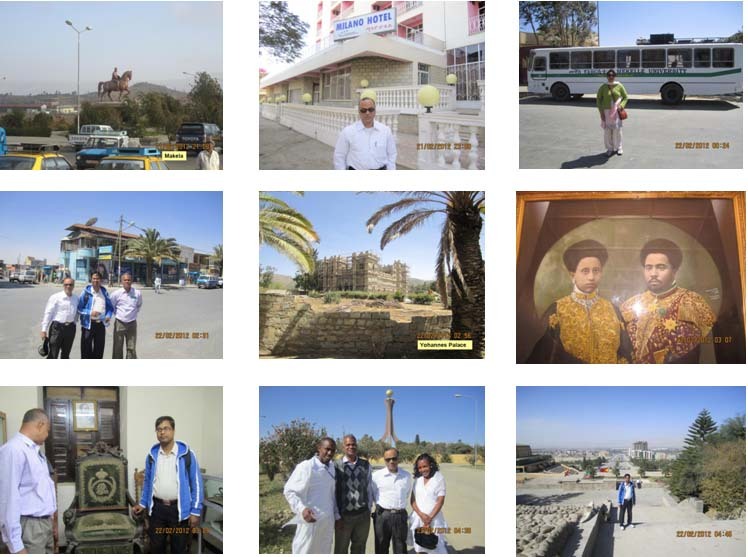 The last almost 4 years in Ethiopia was very nice experience for me. The academic environment was good, moreover; because of the good internet connectivity I could download my good books and documentaries. Watching those documentaries was a superb experience for me. I have shared many good documentaries with my students and peers, they loved watching them. 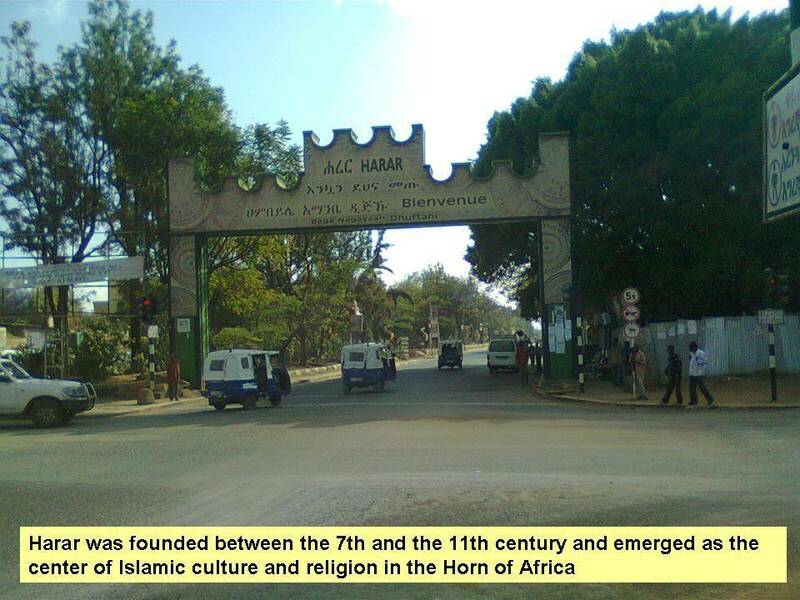 The climatic condition in Harar was splendid and campus life of Haramaya was fantastic, I am going to miss them both. And I am also definitely going to miss many other things like: the good friend circle, the parties, the daily bus journey to university, the cricket matches, the Rewda Tea break gossip, the egg paratha [Fatira], the fresh vegetables / fruits and the shouting of Kidane [guard of our apartment]. That kept all of us alert in an otherwise a peaceful and quiet environment. My friend Dr. Ameer Kalandar from Ethiopia visited India recently and he called me to say hello. 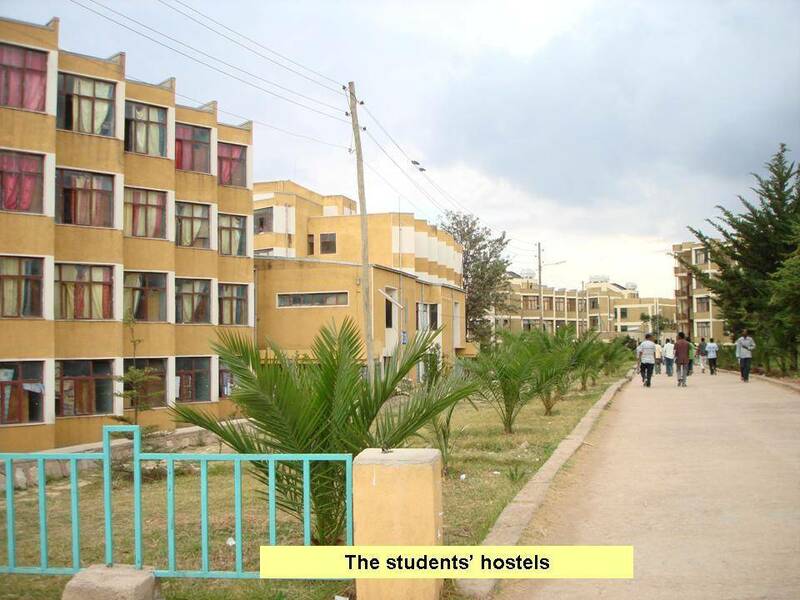 We talked a lot about our stay in Harar and Harmaya University. It was quite refreshing to know that all is going well over there. He also passed on a very interesting news of India Ethiopia Cricket League (IECL). I remembered our days in Harar when Dr. Kalandar and I went to a carpenter to describe what a cricket bat is. It took the carpenter almost 3-4 days to make a bat that was too bulky and heavy. Anyway, I think in 2011 we started to play cricket in the medical campus ground. Soon there was a tremendious interest among the expat Indian faculties, almost 10-15 people were always there for cricket. 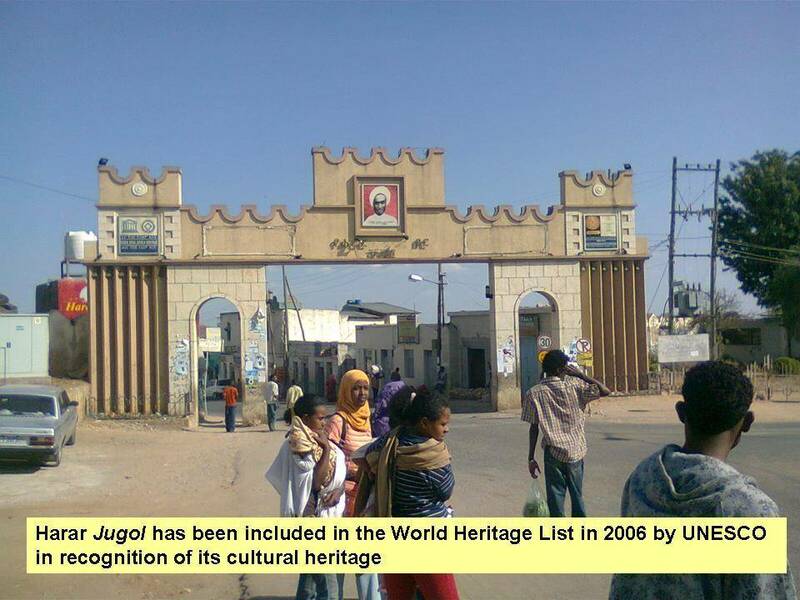 Soon it became a regular feature in Harar. Money was collected and proper cricketing bats, wickets, etc., were brought from India. 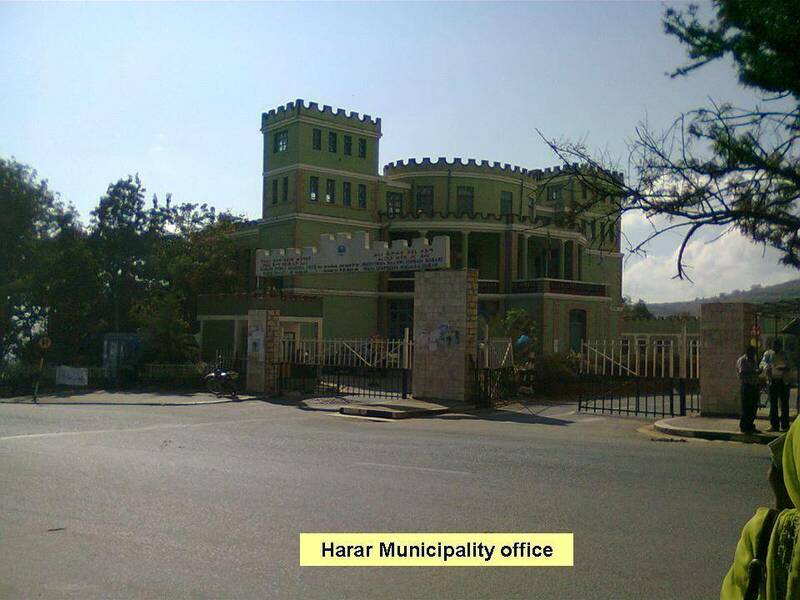 In 2013 teams from two other universities i.e., Dire Dawa and Jijiga was invited for a competition in Harar. 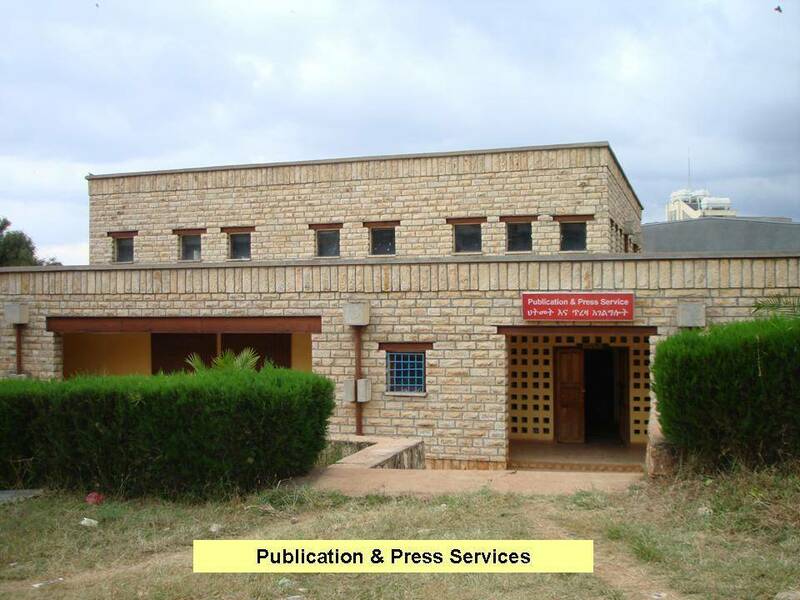 Jijiga university finally own the competition. As the news of the competition spread across other Ethiopian universites there was lot of interest for cricket all over. Now, Dr. Kalandar informed me that his small initiative has now turned to a big affair in Ethiopia. Recently, an India Ethiopia Cricket Leaguefeaturing over 25 teams from various universities and Indian Embassy was successfully held in Addis Ababa (final stages). The finals was played between Indian Embassy Vs Adigrat University. On 14th April, 2017, opening ceremony of IECL was graced by H.E. Mr. Anurag Srivastava, Ambassador of India to Ethiopia, Djibouti and African Union along with the Guest of Honour H.E. Dr. Kaba Urgesa, State Minister of Agriculture & National Resource Development, Federal Democratic Republic of Ethiopia and H.E. Mr. Tsegab Kebebew, Director General for Asia Affairs Directorate Ministry of Foreign Affairs, Federal Democratic Republic of Ethiopia.On 16th April, 2017, closing ceremony of IECL was attended by H.E. Dr. (Engg.) Getahun Mekuria, Minister of Science and Technology, Federal Democratic Republic of Ethiopia, H.E. Dr. Negeri Lencho, Minister of Government Communication Affairs, Federal Democratic Republic of Ethiopia, Dr. Sumeet Jerath, Additional Secretary and Financial Advisor, Ministry of External Affairs, Government of India and H.E. Mr. Anurag Srivastava. The dignitaries congratulated the winning team (Adigrat University), and appreciated the efforts of all participating teams to make this event successful.They also wished that in the coming years this game/eventshould see greater participation from Ethiopian teams and players.